Students investigate various sources to learn about the fall of Rome. 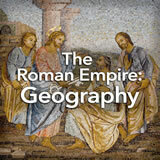 Then, they turn eastward to learn about the Byzantine Empire (formerly the Eastern Roman Empire), which survived for 1,000 years after the western empire. Next, they create an infographic timeline of the fall of Rome. Finally, they read a primary source‚Äîthe eyewitness testimony of St. Jerome‚Äîdescribing the violence and grief of Rome‚Äôs fall. 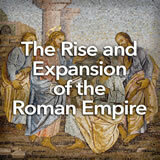 In this experience, students investigate various sources to learn about the fall of Rome. Then, they turn eastward to learn about the Byzantine Empire (formerly the Eastern Roman Empire), which survived for 1,000 years after the western empire. Next, they create an infographic timeline of the fall of Rome. Finally, they read a primary source—the eyewitness testimony of St. Jerome—describing the violence and grief of Rome’s fall. This experience contains a lot of content. You may choose to teach it over two sessions in order to spend adequate time on the various elements of the fall of the Roman Empire. 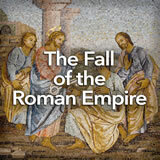 Describe the causes for the fall of the Roman Empire. 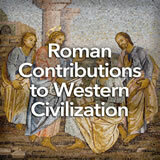 The Western Roman Empire lasted about five hundred years and then fell. The Eastern Roman Empire lasted another thousand years before it fell. In this experience, you’ll learn the gruesome details! Suppose there’s an empire in outer space, in another galaxy, countless light-years from Earth. The empire has existed for eons, growing and prospering. But then it starts to decline—a long, slow decline that lasts countless more eons. The men in the picture and a horde of ferocious soldiers attack this empire—again and again and again. Finally, the empire is a ruin, and each of its planets is run by a different alien civilization. Why would the fall of a faraway space empire be interesting to people on Earth? Conduct a very brief discussion of students’ posts. Then tell students that the story of the space empire’s fall is very similar to the fall of the Roman Empire. 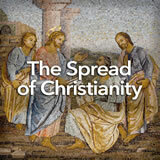 Explain that people today want to learn why the empire fell so that contemporary civilizations can avoid the same fate.